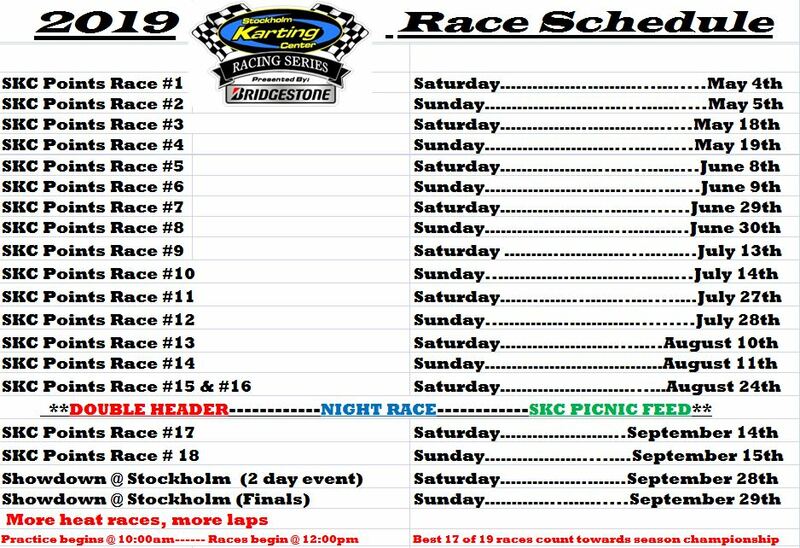 If you have the need for speed Stockholm Karting Center is the right place for you. Home of Minnesota’s only outdoor Rental Kart track. NRKA, Inc. sells rights to do business to a new company. 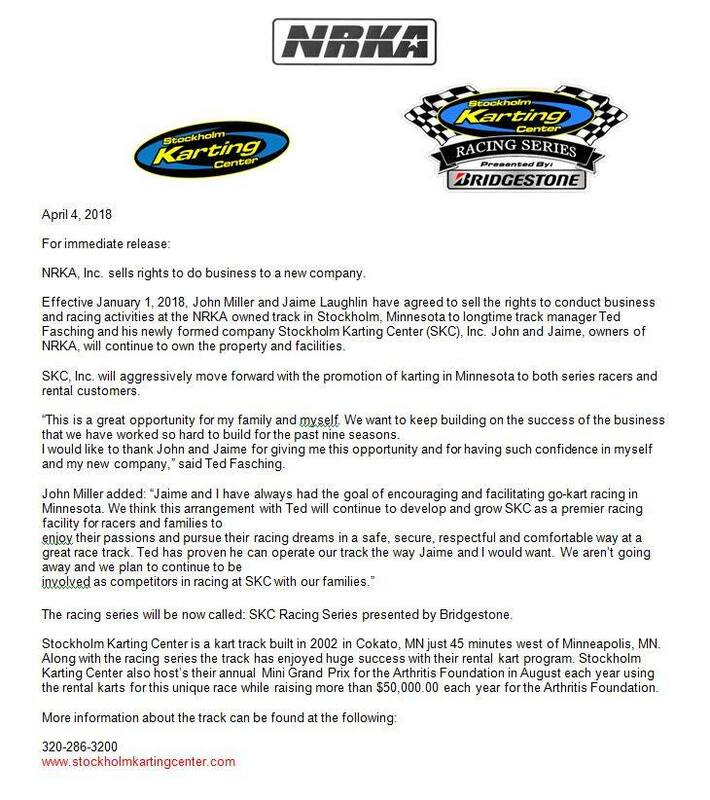 Effective January 1, 2018, John Miller and Jaime Laughlin have agreed to sell the rights to conduct business and racing activities at the NRKA owned track in Stockholm, Minnesota to longtime track manager Ted Fasching and his newly formed company Stockholm Karting Center (SKC) Inc.